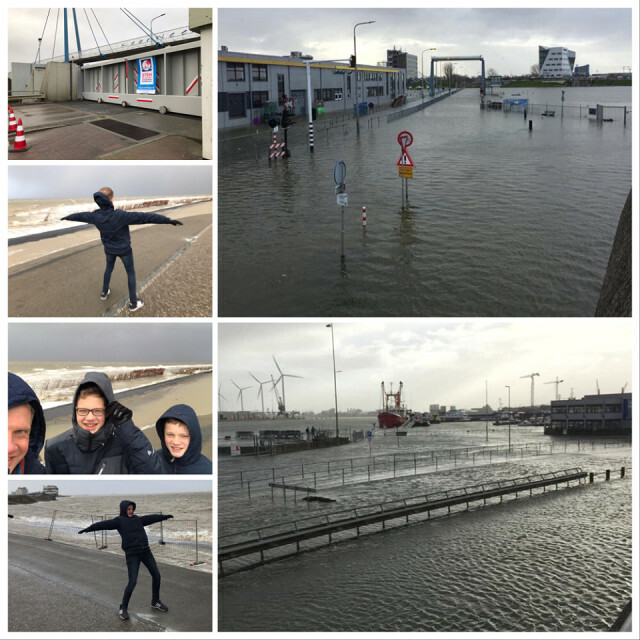 Delfzijl had her first storm of the year today. The fierce winds (force 10-11) from the north west in combination with spring-tide made the harbour quays flood around noon. The main road that leads through the harbour also flooded. As real 'Delfsielsters' of course we had to take a look in the harbour after school was over. Unfortunately that was about 2 hours after the water had reached its highest point, but battling the wind was great fun nonetheless. I've seen this all before. Back in december 2013 the water came about 1 meter higher than today. But it's still impressive to see the power of nature take over the city.